This is a wonderful cookbook filled with recipes that I would gladly use in my everyday cooking. When I first went through the cookbook I marked over 15 recipes I couldn’t wait to make. 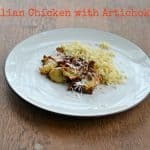 I made 2 recipes the first week and they were both delicious. The cookbook starts with a 50 page guide to the vegetables of Italy. It goes through the season that the vegetable grows, characteristics of the vegetable, history, and ways to use it. It’s a very descriptive and helpful section in this book. There is also a section with basic dough recipes to help with the remainder of the recipes. Then comes the main sections of the book. There are appetizers, Garden Soups and Salads, Pasta, Risotto, Gnocchi, and Polenta, Pizza, Calzoni, and Panini, Main Courses, Side Dishes, and Desserts. 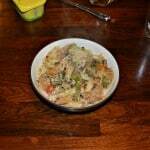 A few of the recipes I marked to make immediately were the Smashed Green Beans and Potatoes with Pancetta, Vegetable Stuffed Pasta Shells, and Spinach Pasta. The photographs in the book are gorgeous. I really wish there were more of them. This cookbook contains some really amazing ways to incorporate more vegetables into the foods we eat everyday. I enjoyed it and I can’t wait to cook from it again! The first recipe I made from this book is still one of my favorites. 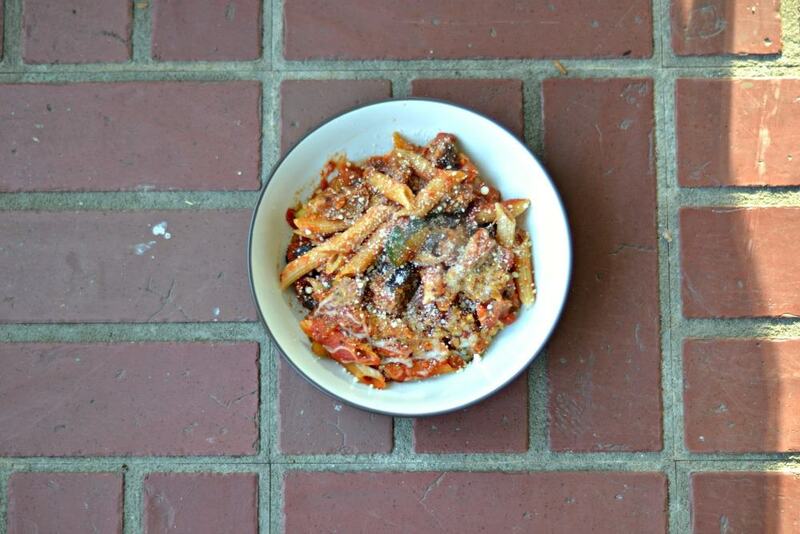 It’s Pasta Al Forno with Roasted Vegetables. Basically it takes zucchini, eggplant, onions, and mushrooms and roasts them in the oven with garlic. 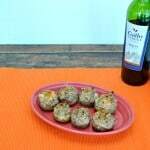 Then you toss them with sausage, pasta, and mozzarella cheese. 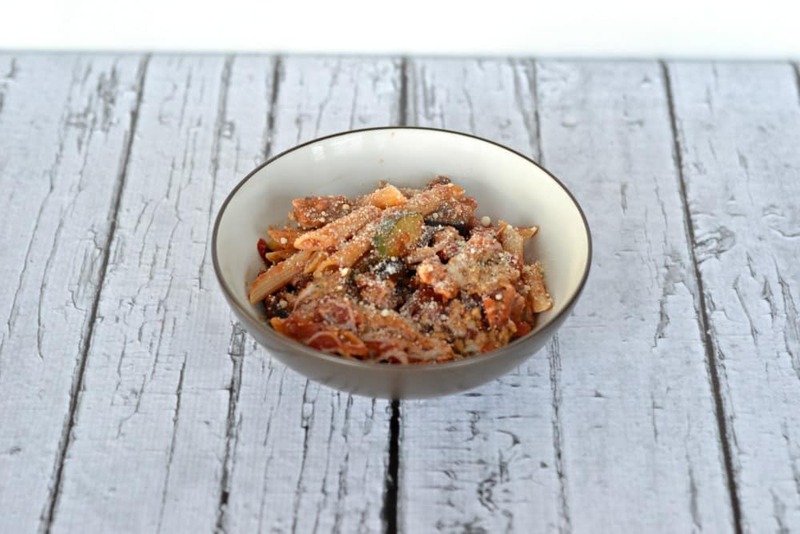 The roasted vegetables added such a dimension of flavor to the already delicious pasta. 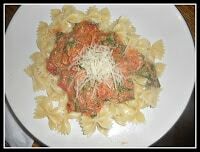 The sauce is simply made with tomatoes and lemon juice and was really good. Then the cheese on top just made it even better. It’s a fairly easy meal to make and it makes a ton so it’s perfect for a large family gathering or for leftovers for several days. 1 lb. dried ziti or other short sturdy dried pasta shape. Heat the oven to 425 degrees. Lightly coat a 9 x 13 inch baking dish with olive oil. Combine the zucchini, eggplant, onion, and garlic in a large roasting pan. Pour ¼ cup olive oil over the vegetables and toss to coat them thoroughly. Season with 1 teaspoon salt and a generous grinding of pepper. Roast the vegetables, stirring them every 15 minutes, for 45 minutes, or until they are tender and nicely browned in spots. Scrape the vegetables into a large mixing bowl. While the vegetables are roasting, bring a large pot of water to a boil over high heat and salt generously. Add the pasta, stir to separate, and cook according to the manufacturer's instructions until not quite al dente. (It should be slightly underdone, because it will finish cooking in the oven.) Drain the pasta in a colander, reserving about 1 cup of the cooking water. Put the tomatoes in a medium bowl and mix in the lemon juice, ½ teaspoon salt, and 2 tablespoons olive oil. 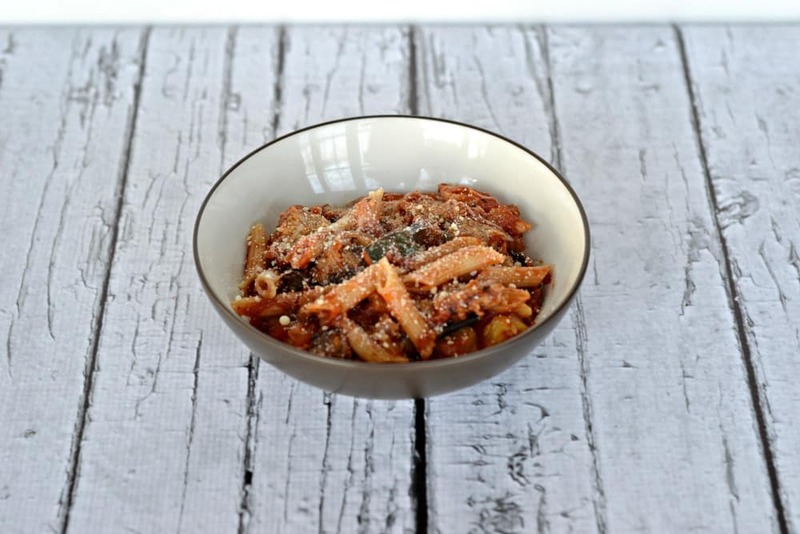 Transfer the pasta to a large bowl and toss with the roasted vegetables, the sausage, if using, and the roasted mushrooms. Add 2 cups of the tomato-lemon mixture and gently toss to combine thoroughly. Cover the dish with foil and bake for 20 minutes; uncover and bake 20 minutes more, until the cheese is melted and bubbly and the top is nicely browned and crisp around the edges. Let stand for 5 minutes before serving. 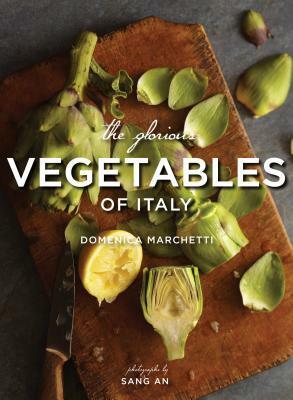 Source: The Glorious Vegetables of Italy by Domenica Marchetti, September 2013. Yeah, I think I need this book! I do really love eating my vegetables, and I’m getting more and more into learning about true Italian food, after growing up in Texas, then moving to the east coast and realizing that most Texans don’t know squat about authentic Italian food beyond meaty lasagna, lol! This recipe looks wonderful too. Thanks! I love this cookbook! Often when I review cookbooks I give them away after the review but this is one I’m keeping around because so many of the recipes are awesome! Thank you! I’m really enjoying it! This is a cookbook I’ll be using for a long time. This sounds so delicious. One question: You list “1 lb. roasted mushrooms” as an ingredient, but in the instructions you don’t say how to cut them, what temperature to roast them at, and for how long to roast them. Since instruction #6 talks about combining the roasted mushrooms with the pasta and other roasted veggies, that implies the mushrooms are roasted separately.